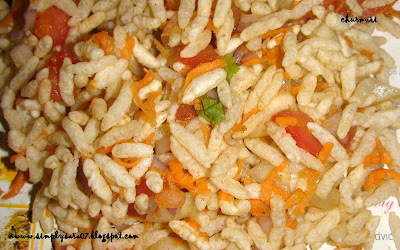 Churmuri is one among my favourite evening chaat. 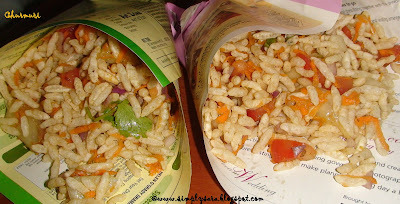 This recipe is in rememberance of churmuri in Bangalore, I am missing it too much so tried to make similar to it. This is dry and very tasty to eat. Its very colourful. This serves for 2 people. Grind in mixie to a fine paste. Store in a container and use. 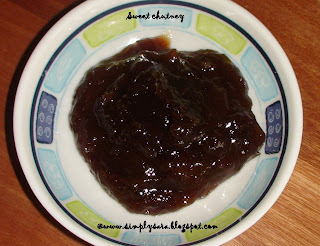 Mix in tamarind water and allow it to boil well till its semi-solid paste. Allow it to cool store in a container and use. Add chat masala, red chilli powder and salt. 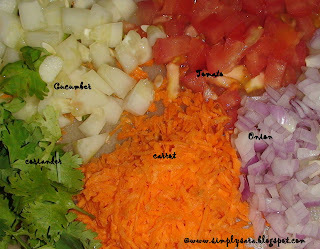 Garnish with Ompodi(sev) or mixture. Roll out an newspaper and can be served or plates. 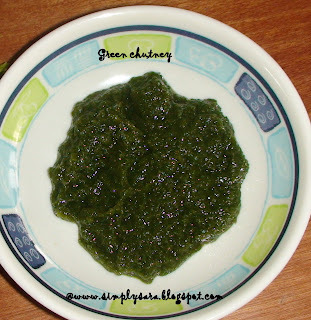 Green chutney and sweet chutney can be stored for abt 10 to 15 days in refridgerator and used for other chaats.